Running a successful YouTube channel can be challenging. Keeping up with your subscribers and building new content takes time and resources and can be difficult to monitor. Create YouTube dashboards to track your social media marketing KPIs and metrics. Develop custom dashboards using YouTube's API or use pre-built metrics and dashboards to get value fast. Combine your YouTube data with services like Facebook, Google Analytics, Instagram, and more to build dashboards. Create sophisticated YouTube dashboards by querying your data using the Klipfolio data connector. Use a pre-built query or craft your own. Use the Klip Editor to design and build custom visualizations using your YouTube data. Instantly track vide analytics data by using a pre-built YouTube dashboard. These have been built to surface social KPIs like views, likes, comments, and more. See where you stand on Facebook and YouTube in a single Klip. See where you stand on three of your social media platforms (YouTube, Twitter, and LinkedIn) in a single Klip. 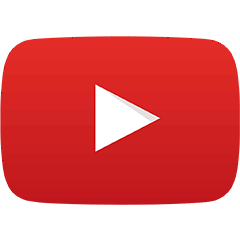 You're using YouTube to build an audience, which helps with brand recognition, channel growth, and video engagement. Tracking that data, as you know, can be tough. And, YouTube is only part of the story. You also need to track marketing metrics from other platforms, such as social media channels. Connecting your YouTube account to Google Analytics takes just a few minutes. Once that connection is made, your data will begin to populate in Google Analytics. Follow these simple steps to connect your accounts.